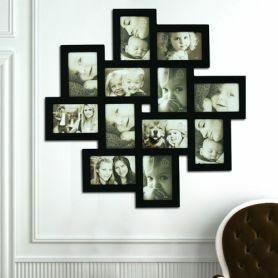 If a picture is worth a thousand words then the meaning of this Collage Picture Frame is abundantly clear! 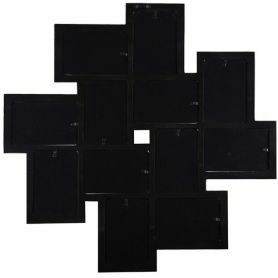 This wall hanging showcases the word Family in attractive black block letters surrounded by eight black-framed 4x6 images. It makes a lovely birthday or anniversary gift for parents siblings or grandparents and a great statement piece in a living room or above the kitchen table. Showcase your favorite moments with your most kindred spirits with this striking decorative piece.